Let the Insulation Automobile Wire Supplier take you to understand the poor quality of the cable! 1. Conductor DC resistance exceeds the standard. The copper wire of the cable should be made of high-purity electrolytic copper. The material drawn from this material is uniform and shiny. Some manufacturers use recycled copper in order to obtain high profits, resulting in serious electrical conductor resistance of the wire, the wire carrying capacity is greatly reduced, the conductor overheating during use, affecting the service life of the wire, creating a safety hazard. 2. The mechanical properties of the insulating and sheathing materials are unqualified. The insulation and sheathing materials of some wire and cable use recycled plastics, and their tensile strength and elongation at break cannot meet the requirements for use. 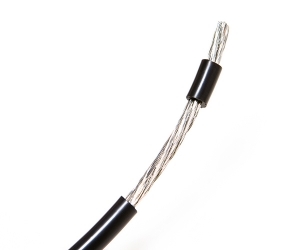 This kind of cable is easy to break during the stress process, causing the live conductor to be exposed, causing short circuit and leakage. 3. The high-voltage installation wire insulation heat extension project is unqualified. The insulation heat extension of individual products has a melting phenomenon, which is likely to cause a short circuit accident under high-temperature conditions. 上一篇：Causes of Wire Aging 下一篇：What Is The Difference Between Wire And Wire Harness?